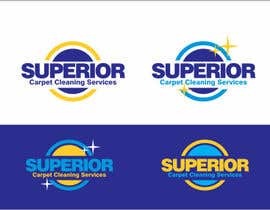 Logo Design for "Superior Carpet Cleaning Services"
1) The name is "Superior Carpet Cleaning Services"
3)The background of "CARPET CLEANING SERVICES" to be a color fading from dark blue to light blue (if this looks good). Keep in mind this logo will go on business cards, work shirts and car advertisement. 4) 3 Sketches are attached of how we generally want the design to look. The designer should aim to use this basic design. WHy you reject my designs? because these were on orange background? According to your sample sketch, i used some bold fonts because these looks better from regular. 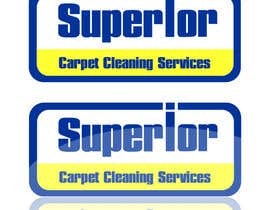 When I say fonts, I mean particularly for the word "Superior." Changes can be seen in #31 as requested. I have created some "mockups" of how the logo will look on vatious items within the submission. Any feedback is welcomed. Thanks. The fonts on #29 and #16 look great. 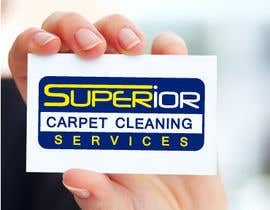 We are also loving the idea on #16 of emphasizing "SUPER" in Superior. 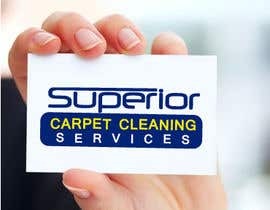 We're realizing the word "SUPERIOR" in capital letters looks really good. 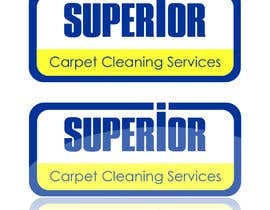 Note that it is extremely important that the words "CARPET CLEANING SERVICES" are clearly visible and emphasized. We think the creativity and clean-cut theme of # 24 is also good. Yellow on white is a big design error, I placed the yellow text on the blue background instead. 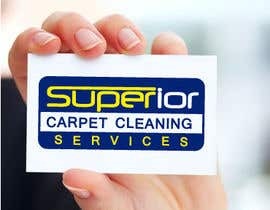 This way it can be clearly read when printed on letterhead, or even on a white van. Please give any feedback on #9 Thanks.